Redskins player arrested after incident in Va.
Montae Nicholson's arrest — on charges of assault and battery and being drunk in public — followed an altercation in Ashburn, Virginia, involving the second-year pro, his girlfriend and another couple. WASHINGTON — Washington Redskins safety Montae Nicholson was arrested early Tuesday morning after an incident in Loudoun County. The arrest — on charges of assault and battery and being drunk in public — followed an altercation in Ashburn, Virginia, involving the second-year pro, his girlfriend and another couple. Authorities said that unidentified couple were victims in the incident. One of the victims told officers that the altercation occurred after the suspects pulled up in a vehicle and honked the horn at them around 2 a.m. at the One Loudoun shopping center. That resulted in a quarrel, then to the victims being physically assaulted by Nicholson and his girlfriend, identified as Sydney A. Maggiore, 24, of Vienna, Virginia. Deputies told NBC Washington that Nicholson and Maggiore assaulted the man, and that Maggiore allegedly hit the woman with a bottle. On Wednesday, TMZ.com released what it said was a video of the incident. 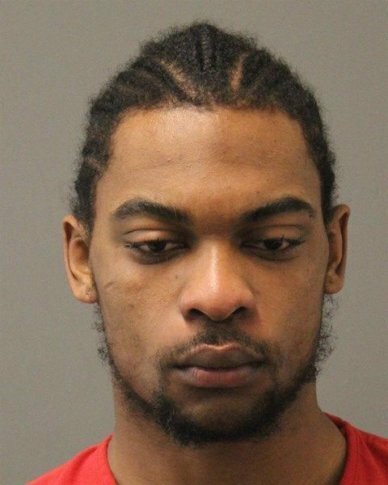 Nicholson, 23, was held at the Loudoun County Adult Detention Center on a $2,500 secured bond. Maggiore was charged with malicious wounding and assault and battery. She remained held at the Loudoun County Adult Detention Center without bond Tuesday afternoon, and faces charges of malicious wounding and assault and battery. Both victims in the incident were hospitalized for serious but non-life-threatening injuries. The Ashburn resident was drafted out of Michigan State in the 2017 NFL Draft’s fourth round. He’s been listed as second on the depth chart behind Ha Ha Clinton-Dix. Team officials have had little to say since news of the arrest got out. This story was updated Wednesday afternoon, following TMZ’s posting of the video.